Born 1840, in Lancaster, Ohio. Brother of painter, Carducius Plantagenet Ream. Photographers apprentice in Cleveland. 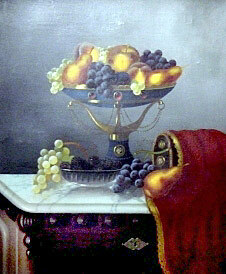 Specialized in fruit and dessert still lifes. Also, painted landscapes and genre paintings. Exhibited: Moores Art Rooms, NY; Cleveland, OH; Booklyn AA, 1873-83, 1892; PAFA Ann., 1876, 1881; Toledo Loan Exh., 1885; San Francisco; NAD, 1872-83; AIC, 1888-97. In the collection of: Museum of Fine Arts, Springfield, MA; Brigham Young University Museum, UT; Robert Hull Fleming Museum, VT; and University of Vermont. Died 1898, in New York City.